Very sturdy system gag head harness made of 20 mm wide and 3 mm thick black rubber. Tightly tied, the gag harness sits immovable. Different gag inserts can be selected. Yes after session, the appropriate gag can be used. 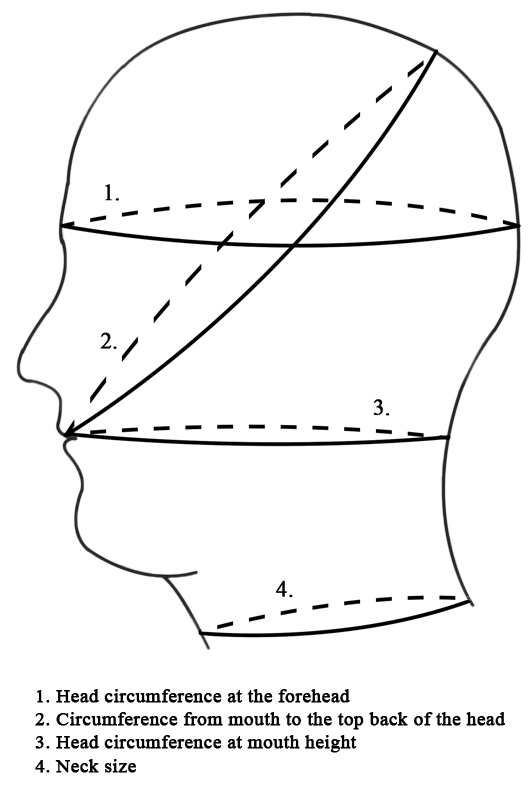 Head circumference in forehead height from 52 - 62cm. If you have a smaller size as 52 or bigger size as 62, you need to choose the option "made to measure". How do I take my measurements corectly?